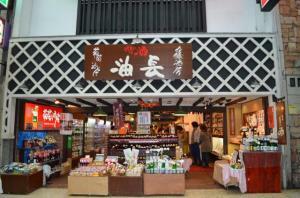 油長‐Aburacho is a sake shop in the midst of Fushimi, having more than 80 kinds of sake from 20 sake brewries in Fushimi. 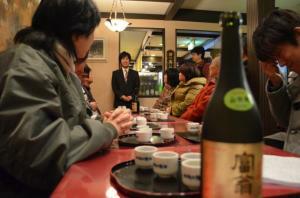 We can enjoy sake tasting seriously together with small dishes. Standard tasting includes 3 kinds of sake with 1300 yen, though the price will be different depending on the ranks of sake. 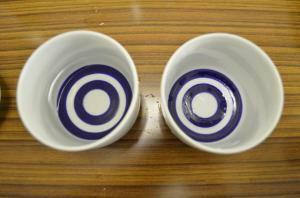 At first you will check the color of sake in the white cup. 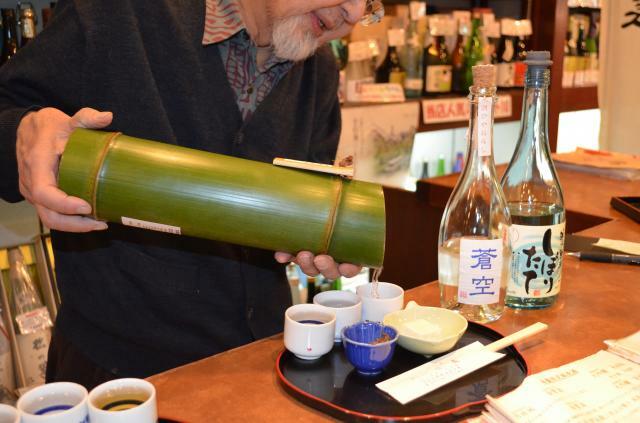 The natural color of sake is a pale yellow with a slight greenish cast. 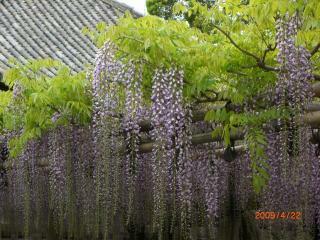 The color deepens as sake ages. 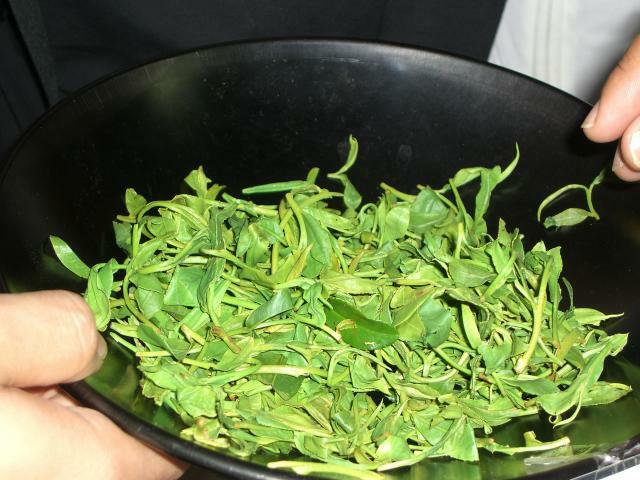 After initial sniff to assess the top smell, you take a sip and roll it around the tongue. 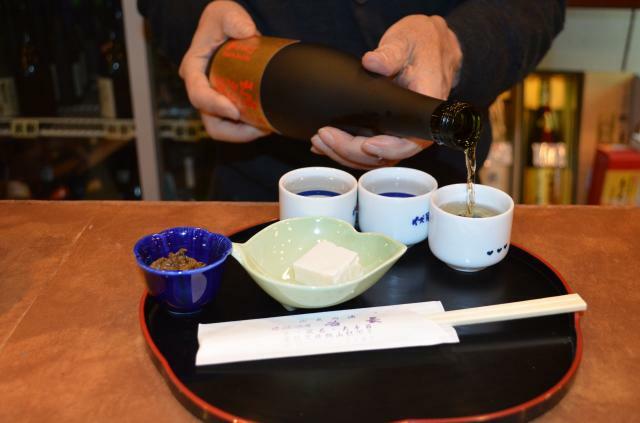 Slurping allows air to be mixed with the sake and warmed it on the tongue, so that even more aromatics can be freed. 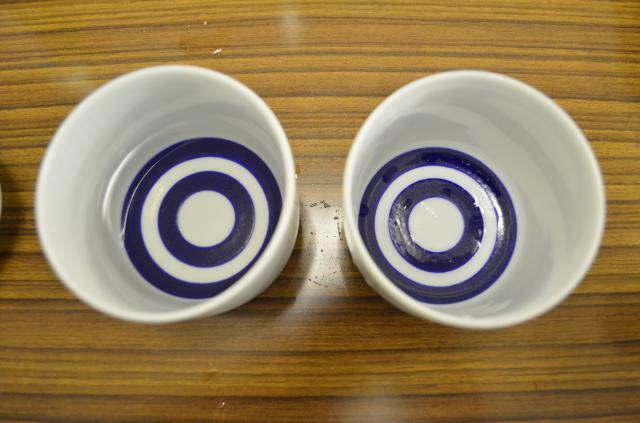 The first impression is important to appreciate the taste of sake. 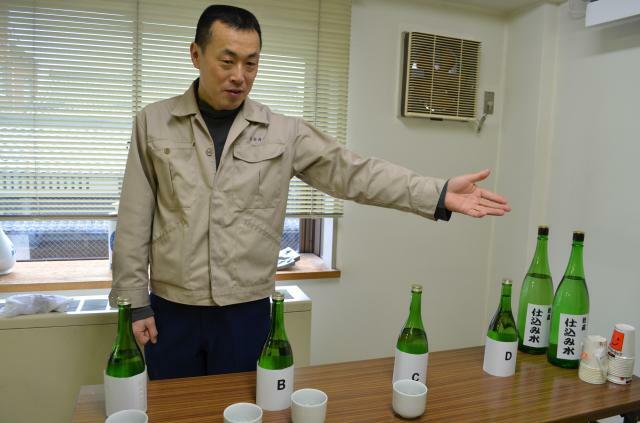 According to the sake flavor chart by Philip Harper, the writer of "The Book of SAKE", the expression goes like "light, fresh, fruity, dry, soft, mellow, sweet, full bodied, rich, aged". It's nice to know these key word. 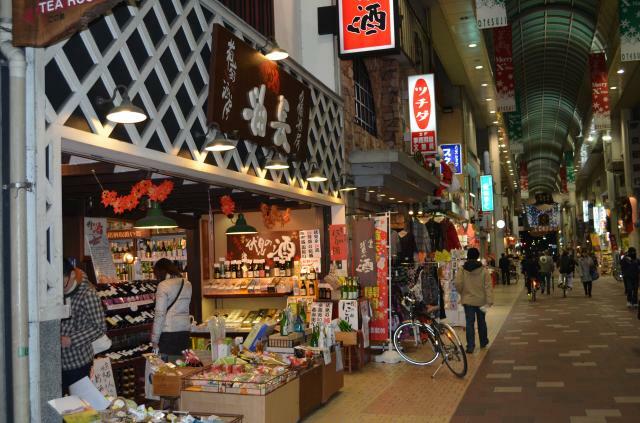 Fushimi Otesuji shopping mall is busy arcaded street, easy access either from Fushimi Momoyama Station by Keihan Line, or from Momoyama Goryomae Station by Kintetsu line. 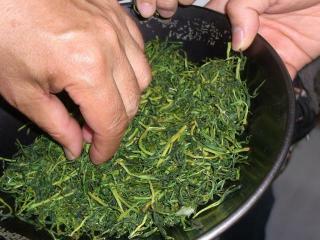 after being brewed taking more than a month. 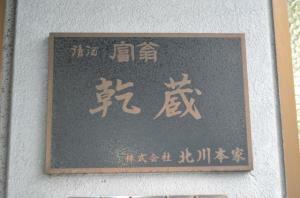 Toji, master brewer is a person in charge of controling the taste of sake at Kura, brewery. The expecting taste of sake for the year is programmed in his brain. 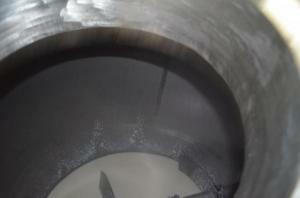 The processes start from the treatment of the raw material of rice, like polishing and steaming. 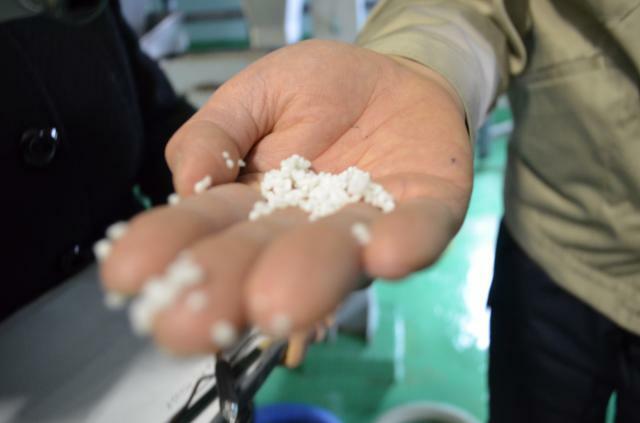 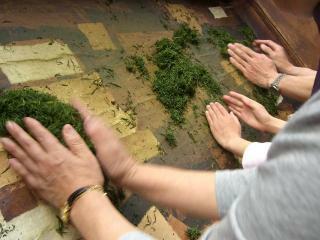 The making of rice Koji, rice mold will be done in a special room, where only the master works. 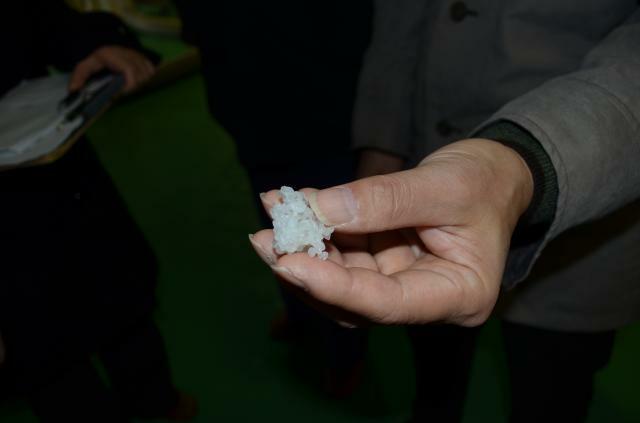 Then steamed rice, water and Koji are mixed to make SEED MASH. 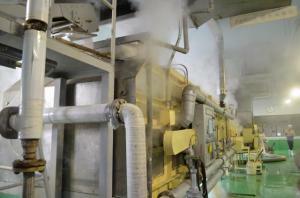 During the process, starch is to be changed into sugar by koji, sugar into alcohol and carbon dioxide by adding yeast. Sake making is unique in saccharification and fermentation are taking place in parallel. SEED MASH is added to water and steamed rice, and stayed as MAIN MASH in a tank. The timing of the process and the amount of ingredients are all in the hands of Toji. 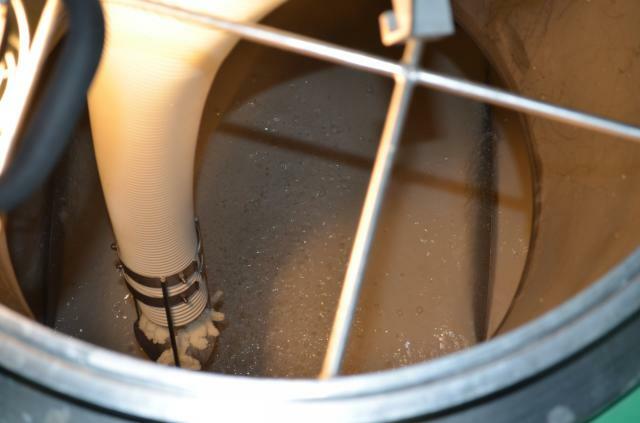 Ingredients are pressed, filtered, pasteurized and bottled. 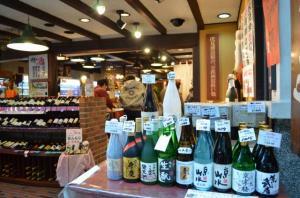 Different from wine, sake needs to be consumed during it's fresh like within a year. 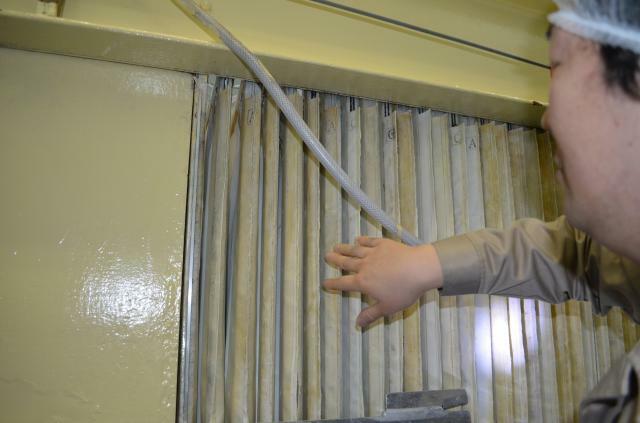 Before it is pasteurized, you can even feel fizzy touch in the mouth. 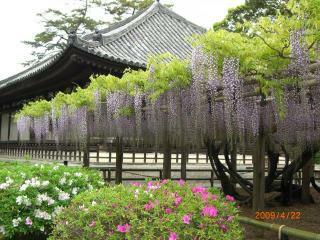 Fushimi, Kyoto is one of the well known production site of sake in Japan. 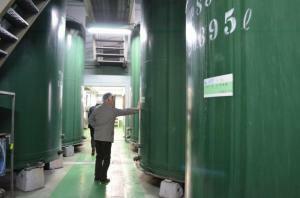 Local soft water underground contributes to the sweet taste of sake, often compared with the crisp, dry sake in Kobe. 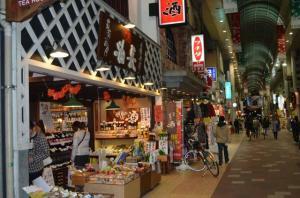 Most of the breweries are concentrated in this tiny area of Fushimi. 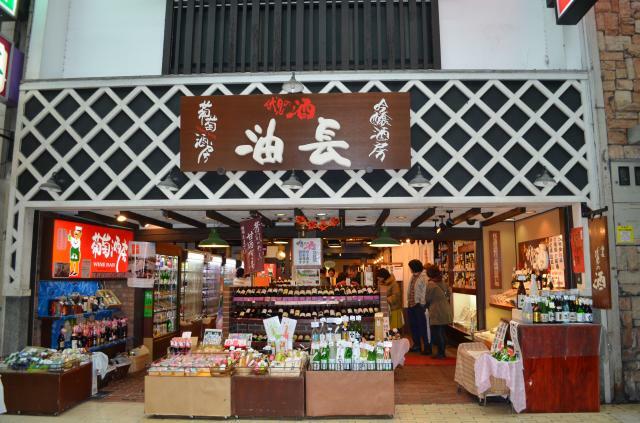 Kitagawa-Honke Brewery is one of 2 surviving breweries for over 350 years in Fushimi. Thanking for the nature, drinking Shin-cha, new tea of the year is very refleshing. 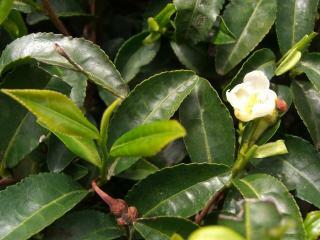 88th　days from New Year according to the lunar calendar is the time for picking up the first young buds of tea leaves. 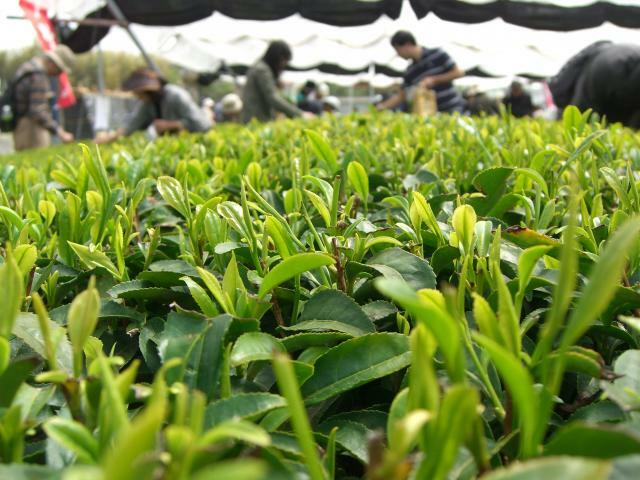 Tea tree is strong enough to grow new leaves again and again, harvested about 3 times a year. Particularly, the first picks are used for the tea called Maccha (powdered green tea) and Gyokuro(high quality tea) and are all hand-picked. Tea leaves are steamed, crumbled, and dried. 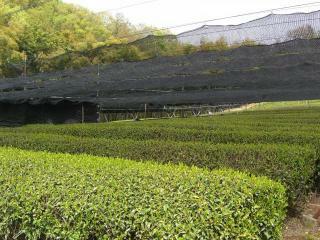 Uji is the production site for the green tea in Kyoto. Uji is close to river, having more than 1500mm precipitation. 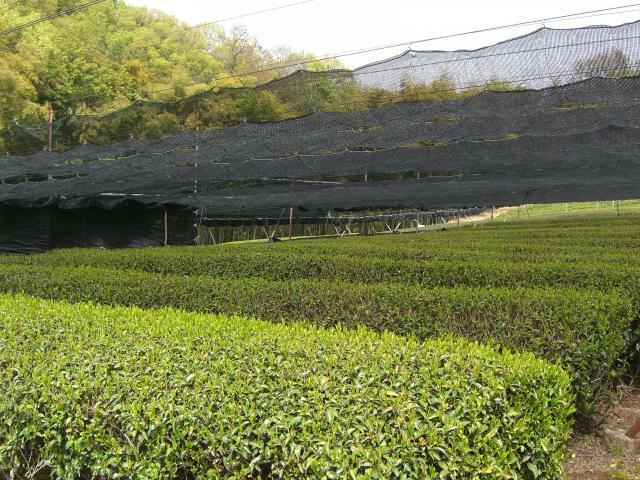 Difference of the temperature between day and night on the slope of the small hills creates mist to prevent frost on the earth, which is a great enemy for the tea buds. 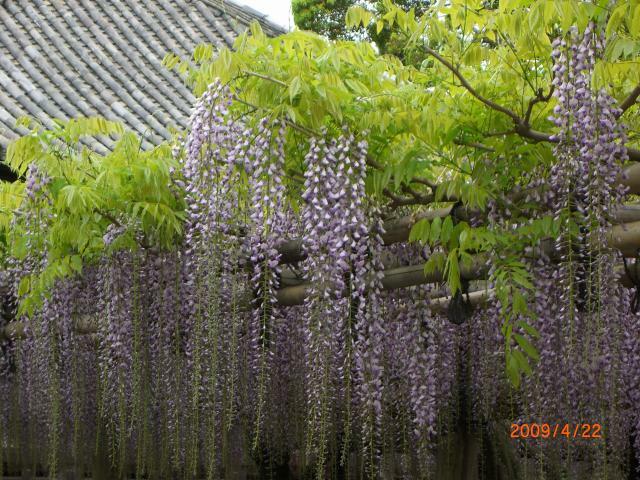 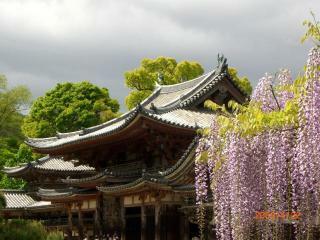 There is Byodoin Temple, the World Heritage Site nearby. Uji is only 20 minutes by rapid, 35 minutes by local train from Kyoto Station, good for 1 day exccersion, visiting Ujikami Shrine, another World Heritage, and tea shops for experienceing grinding tea leaves and making a cup of tea.